Home Educators Excitement Flexible Hope Inspiriation Learning Looping Motivation Organizing Originality Passion Teaching Originality! Today I return to my classroom. (We are a private school and we start later than the surrounding schools.) This week is for setting up and getting ready to teach. It is also the time for catching up with colleagues that I haven’t seen all summer. I love this week. It is filled with conversation and anticipation. I can’t wait to see my kids, too. I’m looping, so I have the same class. We’re all moving to fourth grade. I’ve spent the summer preparing to teach fourth grade. Now, because I’ve been teaching FOREVER and I’ve taught every grade, you would think this is a no-brainer! All I would have to do is go into my storage room and pull out the box labeled fourth grade, right? Oh no! Not me! I have to reinvent the wheel. I have to be original! First, I went through the fourth grade box of materials that I’ve collected over the years. Then, I looked at the curriculum materials/teacher’s guides required by the school. (OK… I didn’t really look; I just moved them around a bit.) Then, I got to work. What could I do differently this year? What could I do that would inspire and enrich their learning? What could I do that would so captivate them that they would rate this year as the best ever? My goal: breathe new life into my teaching. 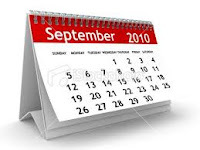 I love that every September is a fresh start! This cyclical nature or our profession is precious to me. I could never work in an office where the calendar starts in January! September is the beginning of the year for me and it is a time of energy, ideas and new life. I’ve planned an outline of the entire year. The key word is outline. Some of my ideas might not work, some may. Who knows! I love the unexpected and discovering new ways as I go along. I have so many new things that I want to try this year. I have quite a few surprises up my proverbial sleeve…. I hope your school year is filled with originality! How lucky your class is to have such a dedicated teacher. I have no doubt you'll inspire and be original! 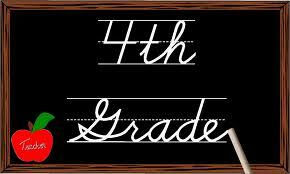 This is my 2nd year as a retired 4th grade teacher. Check out my class web site that I used to keep up great web sites when we used the lab top carts. Feel free to use as needed. Wishing you a great year! Thank you so much for sharing your site with me. After a long, hard day setting up the classroom, I can't wait to check it out more. Thanks for reading my blog and your kind words. Please stop by again.